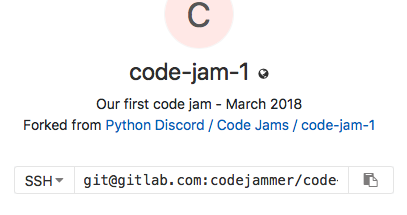 All of our code jams take place on GitLab. 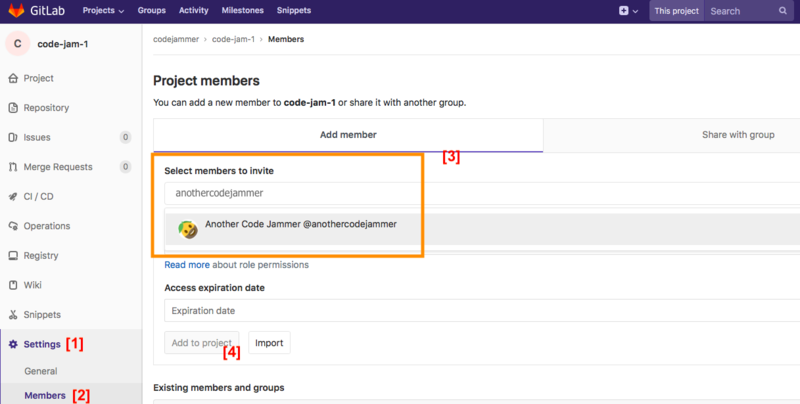 If you don't have an account there, please ensure that you create one prior to filling out your code jam profile. If you're part of an organisation, GitLab will ask you where to fork the repository. Fork it to your own account. It's very important that your team-mates have at least the Developer role. If you don't give them the correct role, then they will not be able to push any code! Once the above has been completed, every member of the team needs to install Git. If you don't have Git installed, please see our page on how to use Git. Once everyone has Git installed, you will all need to generate an SSH key. If you don't do this, you will be unable to push any code! If you're on Windows, please ensure that you're running all of your SSH and Git commands using Git Bash, from Git for Windows. Following the above, use Git to clone the repository. Copy the SSH URL from the repository overview page, and use git clone <url> to clone the repository to your computer. You will be using Git to push code to the repository, and this will be your primary method of working with your team. For more information, please see our page on how to use Git. 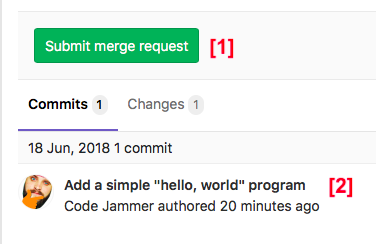 In order to aid with management of the code jams, we require that every team opens a merge request in order to submit their code. 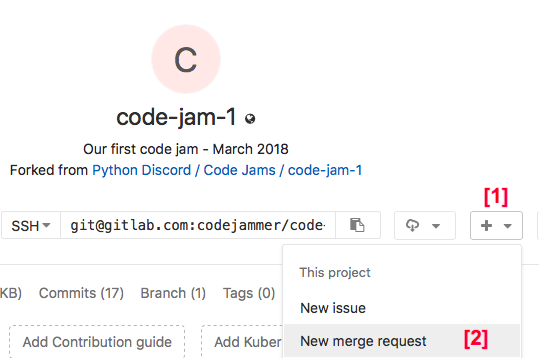 As we use these to provide feedback to teams throughout the duration of the code jam, we recommend that you open a merge request as soon as possible. Remember, if you do not open a merge request before the jam ends, your team will be disqualified! Once the above has been completed, you're ready to go! Work with your team to complete the task assigned to you, push code regularly, and have fun! If you get stuck, please seek help from your team members first. If you can't solve an issue yourselves, then do feel free to ask for help in the usual manner.